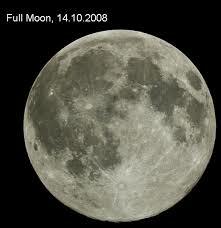 Have you ever heard the phrase, “man in the moon,” or noticed dark spots on the moon that look like a face? These marks are the dark areas, or seas of the moon, but ancient people had many legends to explain them. This one comes from the Micmac tribe. Rabbit was a great hunter. Each day, he trapped other animals in his traps. He brought his catch home to his mother. But one day, he noticed that the traps were empty. For many days, Rabbit’s traps remained empty. At first, rabbit thought Wolverine was stealing his food. Then he noticed long, thin footsteps. They looked like a moonbeam. An illustration of the Native American myth tale, Rabbit and the Moon. Rabbit made a strong trap with a rope to catch the thief. He hid in the bushes in the night. Soon a beam of light appeared. It was so bright that it hurt Rabbit’s eyes. Rabbit pulled on the rope and caught the thief. A voice in the light cried out in a strange, quivering voice. It told Rabbit to let him go. Rabbit didn’t understand. All he saw was a bright beam of light. It hurt his eyes and made them water. It scared him. Rabbit threw snow at the light. The snow sizzled and melted. Then he threw clay at the light. The clay left muddy marks on the light. See spots on the moon. The voice sounded angry. It told Rabbit to let it go. Rabbit was very afraid. He ran home and told his mother what had happened. Mother rabbit told him to let the beam of light go. Rabbit ran back to the light. He said he would let the light go only if it promised never to come to Earth again. The light agreed. Rabbit let the light go. It became the moon in the sky. The clay balls Rabbit had thrown at it made marks that looked like a face. The moon stayed in the sky and never returned to Earth again. Legend: a story that might have elements of truth, but isn’t entirely true. The story is usually handed down for many years. A stop motion video telling the story of the Rabbit and the Moon. Question: Why did people make up stories about the moon? Answer: Before scientists had telescopes and other instruments, people didn’t understand how the universe worked. Stories and legends helped them understand aspects of the natural world that seemed mysterious or scary. Enjoyed the Easy Science for Kids Website all about the Rabbit and the Moon info? Take the FREE & fun all about the Rabbit and the Moon quiz and download FREE Rabbit and the Moon worksheet for kids. For lengthy info click here. Declan, Tobin. " 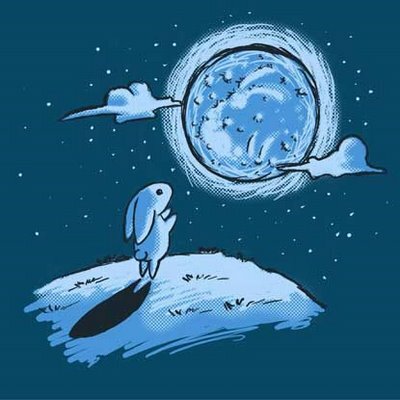 Rabbit and the Moon Facts for Kids ." Easy Science for Kids, Apr 2019. Web. 21 Apr 2019. < https://easyscienceforkids.com/all-about-the-rabbit-and-the-moon/ >.